In the last few weeks I've seen some pretty disgusting attacks hurled at Craig Lowe, Equality Florida Action PAC's endorsed candidate to become the next Mayor of Gainesville. I'm tired of it so this weekend (April 10 and 11) I will be canvassing for Craig Lowe, and I want you to join me. 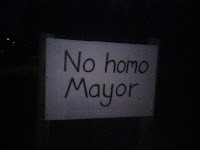 If you follow our e-mail list or read this blog on a regular basis, you have heard about some of the attacks on Craig; a pastor of a local church calling him a "fag" and posting a "No Homo Mayor" sign out front of his church; anonymous, deceitful fliers being posted around town that blatantly lie about Craig and his campaign; and radio show hosts calling Craig and his supporters "sexual deviant[s]". This campaign is not only important for the City of Gainesville, it's important to all of us. 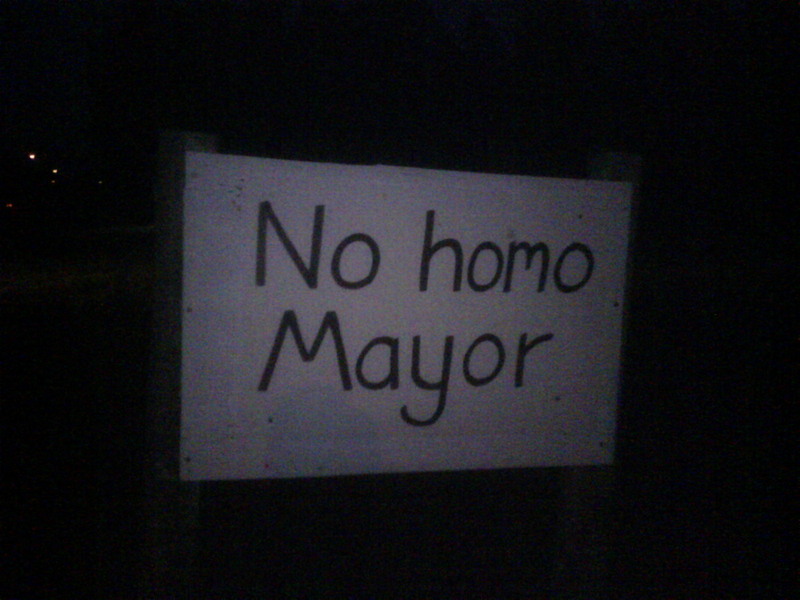 Gainesville has long been the beacon of Equality in North Florida. Gainesville has often been a leader on LGBT equality for our state, many other cities, when considering a non-discrimination policy or a domestic partnership policy, look to Gainesville as a model. Gainesville provides hope to LGBT people all across the state that yes, we can win even in areas of the state we thought we never could. Craig Lowe has been instrumental in helping to pass some of the most significant protections for LGBT people in Gainesville. His opponent, Don Marsh, wants to repeal protections for LGBT people in the City and we cannot let this happen. If Marsh wins, protections for LGBT people in employment and housing will be repealed in Gainesville. If this happens in Gainesville, we will likely see groups organizing in other cities to repeal their protections, and we will see cities who have yet to adopt fully inclusive policies, to decline to do so. What happens in Gainesville on April 13 matters to all of us and we need your help. I want to invite you to join me this weekend in Gainesville to talk to voters about Craig Lowe. I will be canvassing both Saturday and Sunday with the Craig Lowe for Mayor team. Please join me so we can elect the first openly gay mayor in North Florida and show these homophobes that it's not ok to use our community as a political scapegoat. If you are able to make it, please e-mail me at [email protected] and let me know you'll be there.